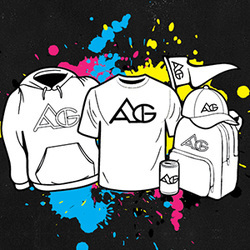 Absolute Graphix is your number one resource for logo recognition. We brand thousands of products with your logo or artwork in various sizes, colors and locations. From t-shirts to pens to banners, the options are limitless. Not only have we specialized in providing sports apparel we have offered cost efficient company uniforms, booster club items and organization products that last through harsh conditions. We take pride in our customer service model therefore we will ensure that you get your order in the desired time frame at a price you will be satisfied with. 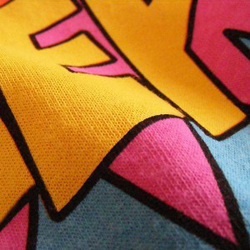 Our screen printing technology will ensure that your shirt will last through several washings and harsh conditions. We print with smooth high durability plastisol ink up to 8 colors, numerous print locations, and large size imprints for better brand recognition. Not only does embroidery look sleek, but it will nearly last the life of the product. 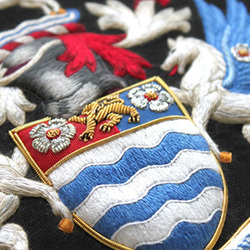 We make sure to capture the most important detail when stitching products to make your embroidery pop out of the garment.